Unique special requests are always welcome. For example, a Miami customer came to me with an unusual request. 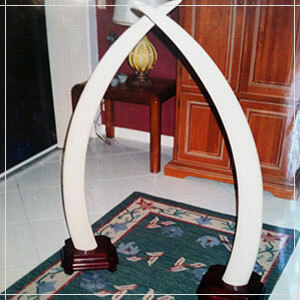 He had two trophy (elephant) tusks which were mounted on standing bases. These were top-heavy and unstable. 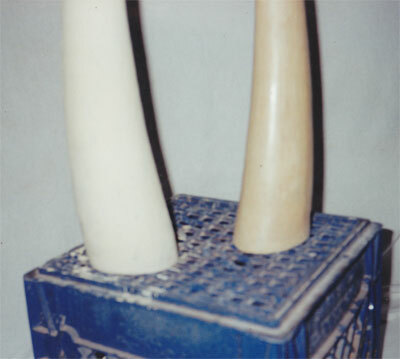 As a result of a fall, one ivory tusk tip had chipped. The break was easily repaired, but stabilizing them against future injury was more complicated. I combined two resins and sand to make casts of the tusk cavities, first lining these with plastic so the casts would come away cleanly. Metal pins with screw extensions were carefully inserted into the hot, expanding resin mixture, so that the hardware would later attach to/through the wooden bases. 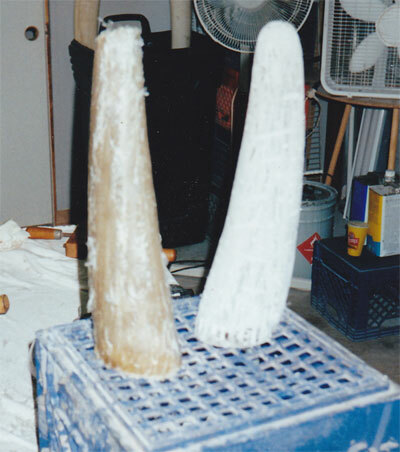 The raw resin inserts, once removed, were machine sanded and more finely formed. Next, they were covered with wood plaster and finally glazed and lacquered. In the first photo, they appear as mini-tusks, ready to mount. 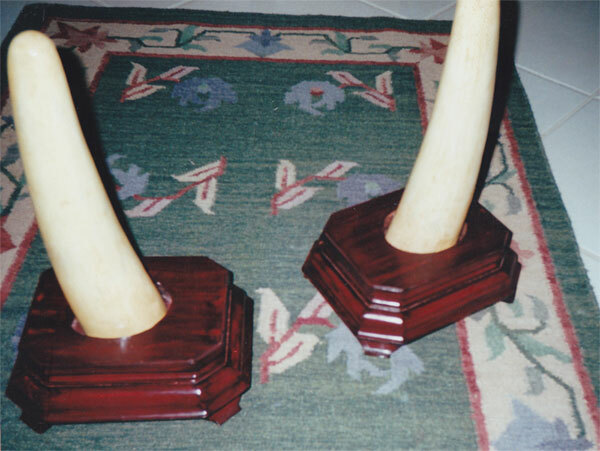 My mini-tusk ‘prosthetics’ are mounted with exposed hardware to each base with nuts firmly tightened from base bottoms. 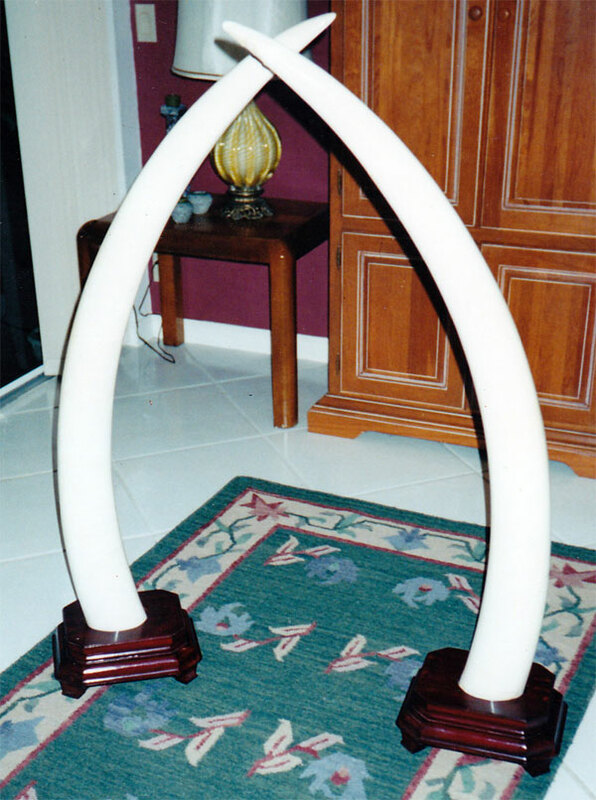 In the second photo, cleaned and prepared tusks – the real thing! – are overturned on mounts. A few tests prove that they are now stabilized and free from future falls. My customer was very pleased with this many-step solution. Riquelme Restoration welcomes unique special requests. Please contact Andres today for a free consultation.